You are here: Home / Photography Help / Why Use Vintage Camera Lenses? Why Use Vintage Camera Lenses? Yes, everyone has a camera on their phone nowadays. Despite this, vintage camera photography is seeing a resurgence; especially with the #believeinfilm community. However, if you don’t want to go all the way to analogue, vintage lens photography with your digital body is possible. You can simply use old lenses on new cameras. But the question remains: why use vintage camera lenses? One person’s reasons for doing so are likely different to the next but I’ll try to cover as many bases as possible here. The first interchangeable lens camera I ever had was a mirrorless Sony NEX-5N. It was, and still is, a great partner for the old lenses I have. In fact, if you need a camera for your own, I recommend checking out Sony’s mirrorless range on Amazon. The NEX-5N was more than just a partner for my vintage lenses, though. It was the reason I even had any. While the NEX kit lens was good enough for what it was, I soon wanted more. The problem was the price of Sony prime lenses. They were prohibitively expensive – especially when compared with their Canon and Nikon equivalents. It was the subsequent quest for cheap camera lenses for my Sony that led me to vintage primes. Once I found them, I never went back. The first vintage camera lens I saw and wanted was the F.Zuiko 38mm f1.8. I still have it years later. Two things attracted me to it in particular. One, as you may have gathered from the previous paragraph, was the price. What had started as a search for cheap camera lenses had morphed into one for cheap vintage lenses. There were cheaper options than the 38mm F.Zuiko, however. But this had another advantage over everything else: its size. The Sony NEX kit lens at the time was a solid chunk of metal, and I wanted something smaller for my first prime. If you’re using a vintage lens on a DSLR, the size might be less of a factor. But if you bought a mirrorless body for its small size, having a huge lens on the front kind of negates that. As you’ll likely need an adapter too, the length of your vintage lens can effectively double once you’ve got it mounted. This was another boon for the F.Zuiko 38mm f1.8. Already a diminutive lens, the adapter was also smaller than average – as you can see below. It’s impossible for me to tell you the best vintage lenses for mirrorless cameras here, but I can tell you this. If you start where I did by picking up a 38mm F.Zuiko from eBay and an E-mount adapter (if you have a Sony camera) from Amazon, you’ll have a very good and easy to use first vintage lens set-up too. Once I’d actually bought my first vintage prime lens and the adaptor and got to play with it, I remember thinking… is that it? I mean, my kit lens could cover 38mm. The only real advantage of the F.Zuiko 38mm f1.8 seemed to be the small size of it on the camera. After walking around Shanghai for a couple of hours though, I soon learned and changed my mind. Shooting at f1.8 was great fun, and I was enjoying manually focussing on such massive cliches as flowers, parked bicycles, and people walking down the street. None of the photographs were anything to write home about and I later found out I was sacrificing sharpness by shooting wide open, but who cares? It was my first time shooting with a prime lens, vintage or not, and I was like a kid in a sweet shop. Before I bought the F.Zuiko 38mm f1.8, I had wondered how I would get on with using manual focus and having no zoom. As it turned out, I loved it. It makes you think more about your composition because some things are out of your reach. You become more creative, more analytical, more involved. As well as having fun, you become a better photographer, in my opinion, by having to do all the thinking and moving by yourself. If we allow ourselves to be shallow for a second, old camera lenses are just cool. That might not be the most important thing to consider in this whole piece, but it is a thing worth considering. I used to drive an old Mini and it was the best car I’ve ever owned. In fairness, the competition was only ever Ford Fiestas and Vauxhall Corsas – all of which were safer, more comfortable and much more reliable. So, aside from how gorgeous it was, why would I have wanted the Mini? I can compare my vintage camera lenses to that, with the kit lens being the Corsa (sorry, kit lens). Safer? Yes, you might miss focus on that important shot with the vintage lens. More comfortable? Yes, you can forget about the focus ring with the kit lens. More reliable? Yes, but the vintage lens is easier to fix if something goes wrong. Cooler looking? Yes, the more vintage the better, in my opinion. You’re probably buying vintage lenses for hobby shooting rather than any professional work. And if you’re going for a Sunday drive in the country, you’re taking the Mini over the Fiesta or Corsa. It’s more fun. And it’s just cooler. People talk about image quality when discussing camera gear, but what if quality became plural? When shooting with old lenses, I like to think about the qualities of the image. The certain look that new lenses have long since left behind. State-of-the-art lenses are great at what they do, capturing images with unreal sharpness, but you don’t always want that. You can turn down that sharpness, you can soften edges, you can add vintage filters in Lightroom, but you’re fighting against what the modern lens maker was aiming to achieve. Using vintage lenses means having an inherently vintage look to your photographs. You can get the swirly bokeh, the soft backgrounds, the original colours and tones, and the satisfaction of knowing it’s all genuine too. Just as the image quality of each vintage lens is different, so too are the image qualities. If any or all of that has whetted your appetite, you might now be wondering which one to buy, and from where. The second question is easy to answer – either a local second-hand camera shop or market, or eBay. The first question is a little trickier. 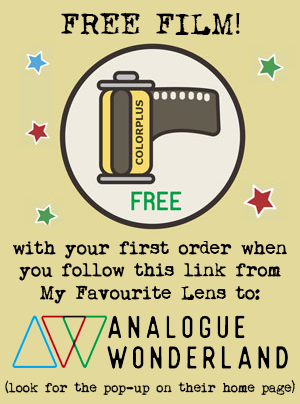 You’re probably after the best vintage lenses you can afford, but I can’t really tell you what they are for you. That depends on what you shoot, as well as your budget. But what I can do is summarise the ones I’ve used and reviewed, starting with the aforementioned F.Zuiko 38mm f1.8. A very small vintage lens that only needs a very small adapter, made in Japan sometime between 1963 to 1972 and taken from the Olympus Pen F camera. I find the 38mm F.Zuiko a really good length for my street photography; not too wide and not too long. One of the most popular vintage lenses out there, the 55mm Super-Takumar dates back to the early 1960s and originally came on the Asahi Pentax Spotmatic camera. The 55mm Takumar is good for portraits, especially when mounted on a crop sensor mirrorless camera. Although not quite as popular as its 55mm sibling, the 28mm is still a fine lens. Again taken from the Asahi Pentax Spotmatic camera, the 28mm Takumar also dates back to the early 1960s. As a wider angle vintage lens, the Super-Takumar 28mm is good for landscapes and even environmental portraits. This 1960s vintage lens comes from the still-popular Yashica Electro 35, which was a fixed lens camera. You can buy versions modified to suit your modern mount, meaning you don’t need an adapter. A gorgeous lens with great image quality and the novelty factor of it never being meant to be removed from its original home. A slightly newer vintage lens, the 50mm Konica Hexanon was produced from 1973 to 1979 and comes from the classic Autoreflex range of cameras. Renowned for its sharpness back when it was new, it’s now one of the sharpest vintage lenses you can commonly buy. A well-regarded vintage lens, the Minolta Rokkor was made between 1958 and 1978 and is a great value choice if you’re looking for something at 35mm. There is sometimes an issue of oily aperture blades but I’ve not found that detracts from the image quality with mine. And that’s just the ones I’ve used. The options for your vintage lens photography are really almost endless though. The only issue I see is getting into them too much, but even that would be a nice problem to have. So, why use vintage camera lenses? Well, all things considered, why not? If you want to try for yourself, the next question might be… how. … p.s. if you’ve found this post on why to use vintage camera lenses informative and think others will too, why not share or pin it?